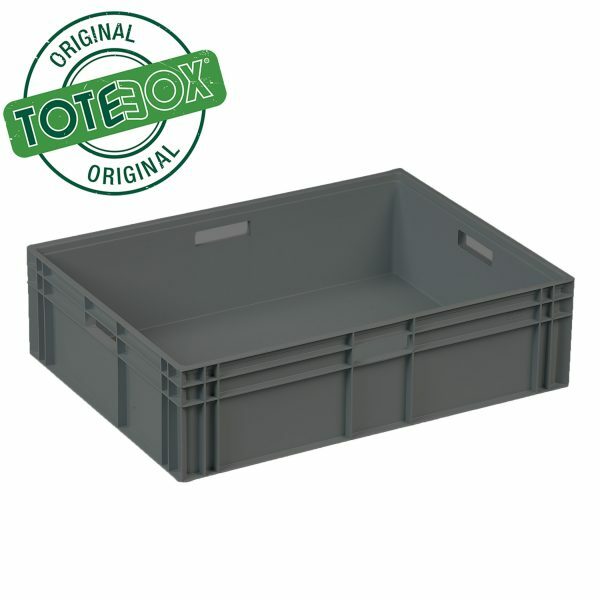 Heavy duty solid euro stacking container made from industrial strength Polypropylene (PP). 87L capacity. 85L solid euro stacking container made from industrial strength Polypropylene (PP).